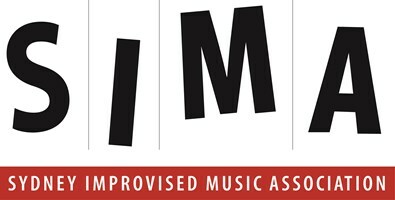 Reserved (Table) - Conc/SIMA Member - Drinks & Show Package. This ticket secures you a seat at a table which will be yours the whole evening, and includes $18 worth of beverages. 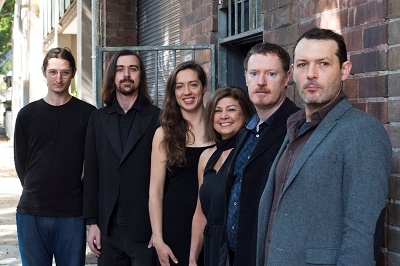 The backbone of Elysian Fields’ performances comprises original works written specifically for its line-up, such as Matt McMahon’s 'For Thomas Wyatt' – “eloquently elegiac, its melody Celtic, its tone dark; electric viola da gamba, piano and bass guitar in melancholy embrace”. 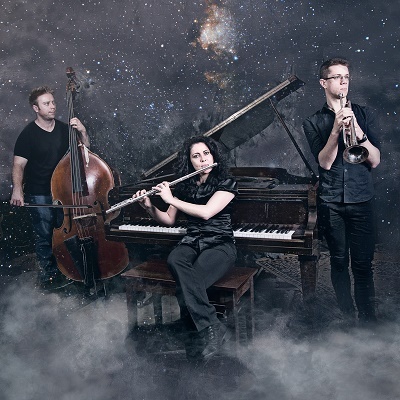 The three instrumentalists play against a backdrop of real NASA recordings compiled by astronomer Professor Paul Francis - electromagnetic waves from planets and stars. Their debut album Orbits and Riffs was released earlier this year to critical acclaim: “Full of sonic textures and infinite possibility, this is one of the true concept albums of recent years. FOUR STARS.” - Peter Wockner, Jazz and Beyond.